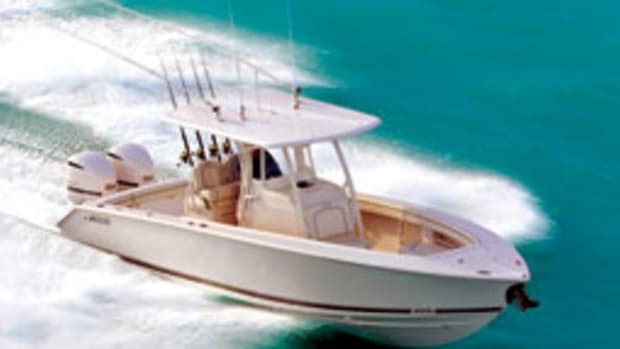 Glacier Bay’s 26-foot Canyon Runner was its most popular boat, proving its offshore capabilities with such passages as a 728-mile run from Virginia Beach to Bermuda and a 1,328-mile voyage from Hawaii to Midway Island. When it came time to update the power cat, the hull was left as is. But the builder upgraded the cockpit, seating, cabin and foredeck for more space, increased comfort and better weather protection. 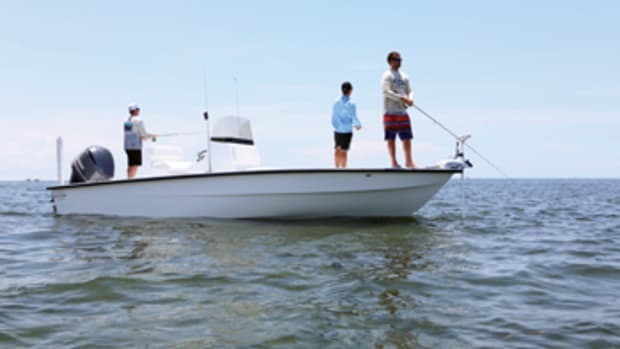 The new 2770 Cuddy was introduced on this fall’s boat show circuit. The builder combined the cockpit layout of its 2740 — introduced in 2010 — with a cabin that includes a queen berth, an electric head and shower. 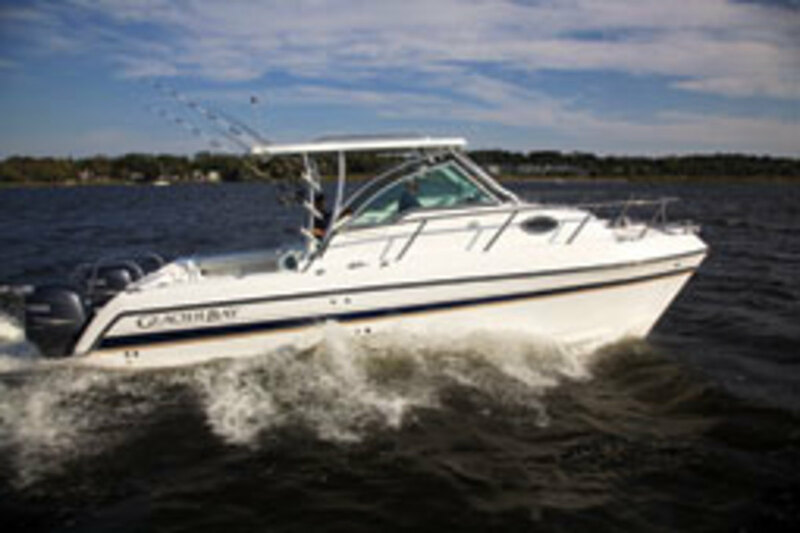 Beneath the hardtop, the helm is to starboard, and L-shaped seating with a 132-quart insulated box beneath is to port. 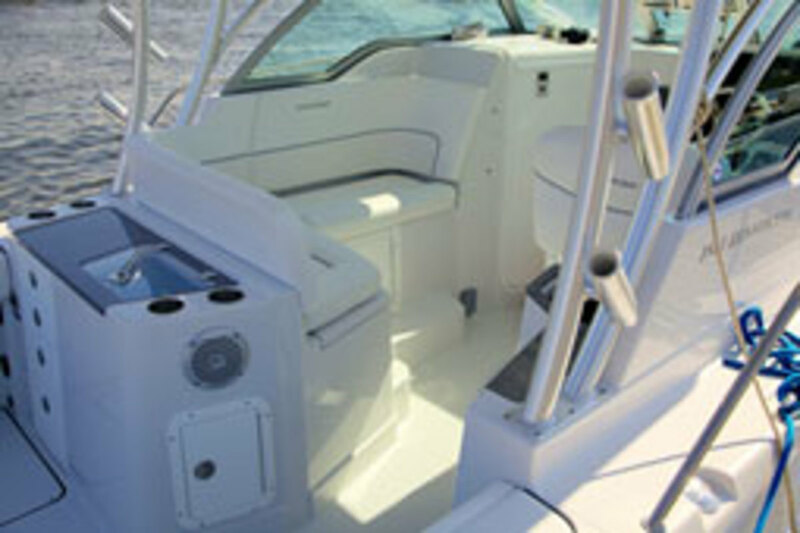 The starboard-side entertainment center abaft the helm seat includes a freshwater sink and optional refrigerator. 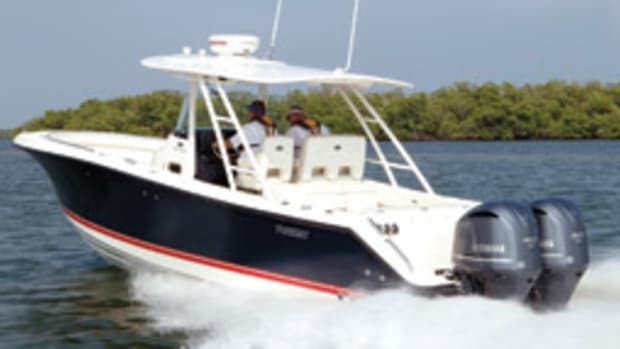 The aft cockpit has a 20-gallon live well and storage, two in-sole 100-quart fishboxes with macerator pumps and two fold-up transom seats. 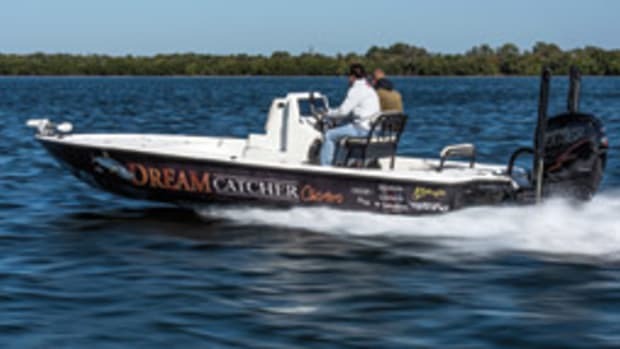 The cat is powered with 150-hp outboards and rides a semidisplacement hull that delivers a smooth ride, Longino says. 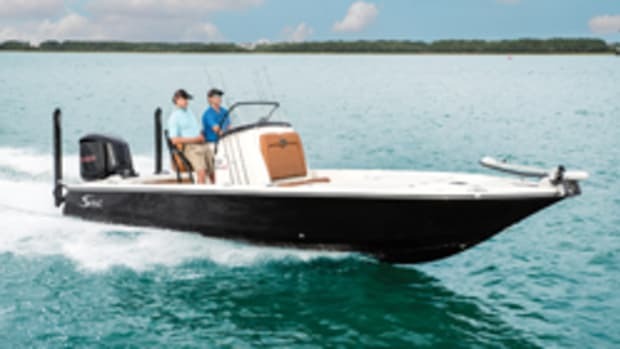 With twin Yamaha F150s, the boat gets 2.3 mpg at 22 mph. In fact, with the throttles set anywhere from 3,000 to 4,500 rpm, she gets about 2 mpg. 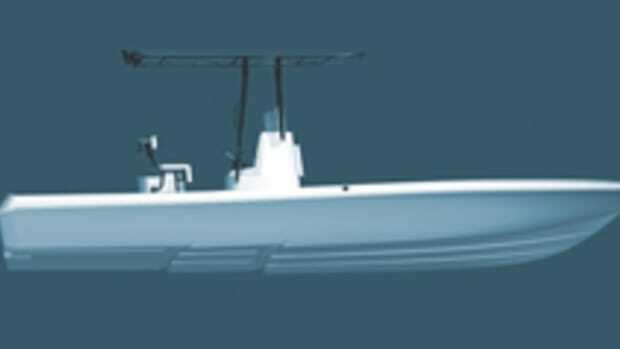 “You get the same mileage at pretty much whatever speed the seas are allowing you to run,” Longino says. At the top end, 40 mph, mileage dips to 1.5 mpg, still pretty good for a powerboat at that speed. 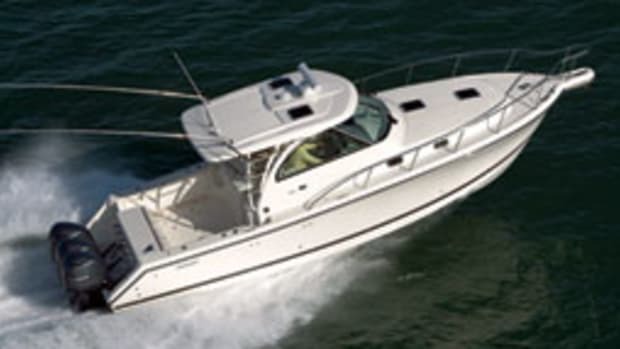 Click here to find more Glacier Bay boats.